A new paper by Evgeny Khukhro (Univ. of Lincoln) and Pavel Shumyatsky (Univ. 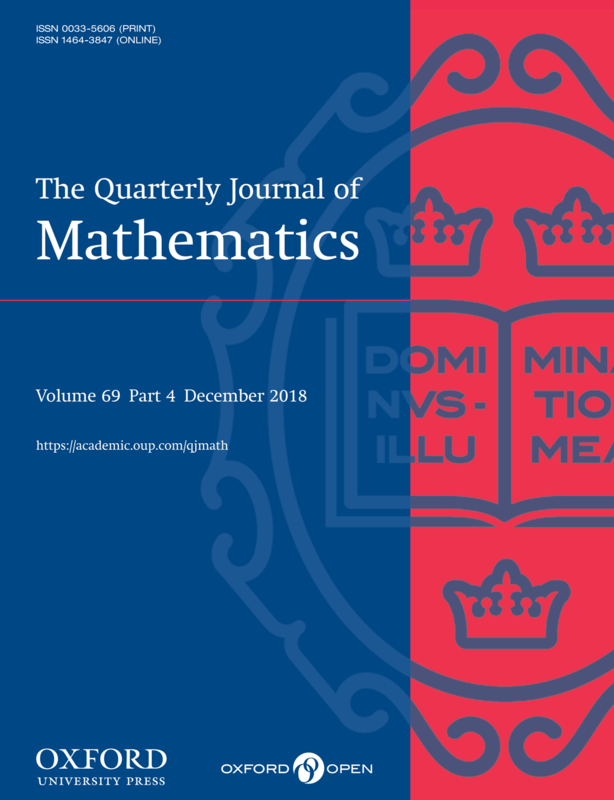 of Brasilia) “Compact groups in which all elements are almost right Engel” has been accepted for publication in Quarterly Journal of Mathematics (Oxford). The results of this paper were partially obtained during Evgeny Khukhro’s research visit to University of Brasilia in July of 2018 (supported by a grant of CNPq-Brazil). Abstract: An element of a group is said to be almost right Engel if there is a finite set such that for every there is a positive integer such that if is repeated at least times. Thus, is a right Engel element precisely when we can choose . We prove that if all elements of a compact (Hausdorff) group are almost right Engel, then has a finite normal subgroup such that is locally nilpotent. If in addition there is a uniform bound for the orders of the corresponding sets, then the subgroup can be chosen of order bounded in terms of . The proofs use the Wilson–Zelmanov theorem saying that profinite Engel groups are locally nilpotent and previous results of the authors about compact groups in which all elements are almost left Engel. This entry was posted on January 27, 2019 by Evgeny Khukhro in New publications, research.